Miquel Barceló was born in 1957 in Felanitx on the island of Mallorca. He was first exposed to art through his mother, who was a painter of traditional landscapes. In 1974, Barceló made his first trip to Paris, leaving the constrained environment of Franco’s Spain for the first time. 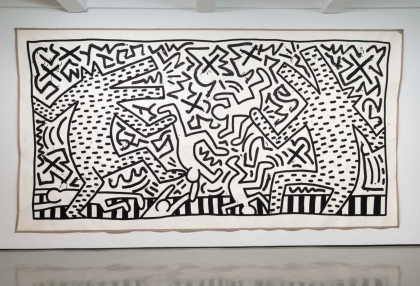 Impressed by the paintings of the avant-garde, Barceló was particularly struck by the works of Jean Dubuffet, Art Brut, and Art Informel. After taking classes at the Decorative Arts School in Palma de Mallorca that year, Barceló enrolled at the School of Fine Arts in Barcelona in 1975, where he attended classes for a few months before returning to Mallorca. decaying foods and unorthodox, organic materials. 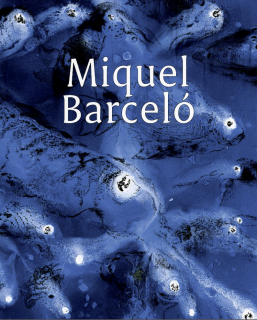 In the early 1980s, Barceló earned international renown as one the foremost Spanish painters, rising to fame after representing Spain at the Documenta exhibition in Kassel in 1982. Throughout the 1980s, Barceló’s work was included in many international exhibitions; his work was embraced as part of the international neo-expressionist movement, which rejected the prevailing trend against imagery (the so-called “death of painting”) in favor of portraying recognizable subjects in an expressive, gestural aesthetic. 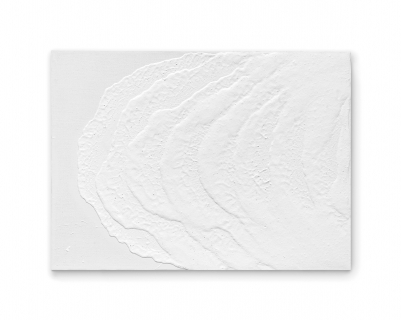 By the mid to late 1980s, Barceló had begun to eliminate the narrative elements from his paintings, a reduction culminating in his series of abstract white paintings begun after the artist spent six months traveling across the Sahara Desert in 1988. After living for a number of years in Paris, Barcelona, and New York, Barceló was invigorated and fascinated by both the cultural and physical environment of West Africa. 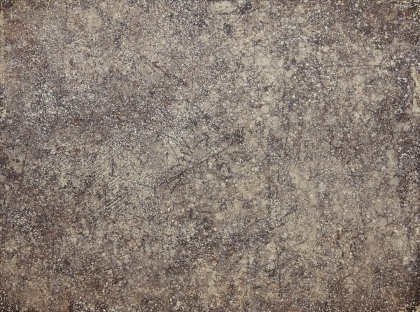 Inspired by the dramatic African light, bright sun, scorched earth, and rocky landscape, Barceló made a series of pale, intensely textured canvases that recall the arid, rugged terrain of the desert. Over the past four decades, Barceló has explored a variety of styles, from neo-expressionist canvases to colorful still lifes and pale, thickly textured abstract paintings. An artistic nomad, Barceló draws inspiration from his time spent in varying locations; though he always returns to his native Mallorca, over the years Barceló has also worked in Barcelona, Portugal, Palermo, Paris, Geneva, New York, the Himalayas, and West Africa. Working across a wide range of mediums, including paintings, works on paper, ceramic, and bronze, Barceló has continued to experiment with the materials of his art, frequently incorporating materials from his extensive travels into his paintings. 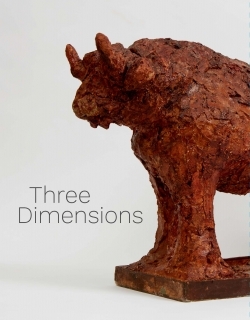 Across this diverse body of work, there are several recurring themes. 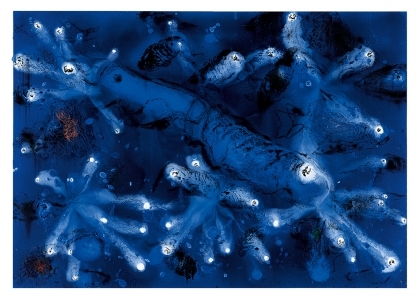 He has continued to be fascinated by the natural world, creating richly textured canvases that recall the earthly materiality of Catalan painters such as Antoni Tapies and Joan Miro, as well as compositions that study the effects of light and the ever-changing colors of the sea. He has also explored the history and traditions of painting, exploring the medium’s traditional subjects and technical challenges through his experimentation with the treatment of light, color, perspective, and composition. Mallorca), by always painting in the same studio, you come to forget the essence of the affair. In Mali I get back in touch with the essence of the act of painting.” In addition to his white paintings, he has made series of portraits, still lifes, and domestic scenes inspired by daily life in sub-Saharan Africa. 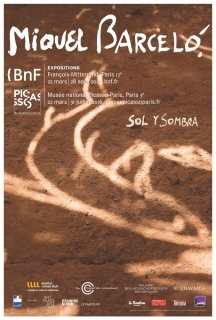 In 1990, Barceló began a series of bullfight scenes inspired by a commission to create a poster for the Nîmes bullfighting festival in 1988. In these paintings, Barceló depicts the concentric rings of the bullfighting arena, creating remarkably textured, impastoed surfaces bursting with dynamism and swirling energy. 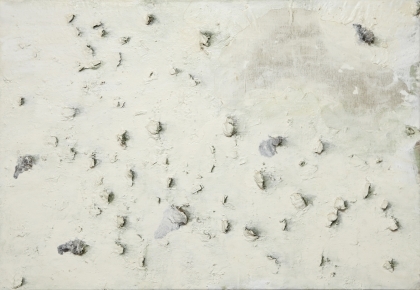 Barceló draws parallels between how he creates his painterly surfaces and how the toreador works through the sand in the arena, with the canvas recording the marks of the painter as the sand tracks the movements of the bull and the fighter: “the most important thing is what happens on the sand. In a bullfight, you can read what happened in the sand; it's a beautiful metaphor of painting because my paintings are like traces of what has happened there, all that happens in the head, in fact. The picture object is a bit like the sand of the arena, a sort of detritus of what took place there.” In adopting this culturally resonant theme, long symbolic of Spanish national identity, Barceló continues in the tradition of great Spanish painters from Francisco de Goya to Pablo Picasso and Salvador Dali. Before bullfighting was banned in Catalonia in 2012, after nearly 700 years of fights, Barceló designed the official poster for Barcelona’s last bullfight. In the past decade, Barceló has continued to explore themes inspired by his extensive travels and has completed various major commissions, including the Santísimo chapel of the cathedral in Palma de Mallorca and the dome in the Human Rights and the Alliance of Civilizations at the United Nations in Geneva. For the cathedral in Palma, Barceló worked for six years to cover the entire chapel in terracotta, illustrating the miracle of the loaves and the fishes in elaborate ceramic with the figure of Christ hovering over the tabernacle. The extraordinary detail of the project recalls the modernist style of Catalan architect Antoni Gaudi, who also once worked on the interior of the Palma cathedral. Barceló's elaborate work at the Palma cathedral demonstrates his mastery of ceramic, which has played a large role in the artist's oeuvre since the mid-1990s. In Barceló's remarkable installation at the United Nations, which was presented to the public in November of 2008, he covered the massive domed ceiling of the room in vibrant, multi-colored stalactite forms. Together with his team of twenty assistants, Barceló created these cave-like forms with a plaster base, to which they then applied colorful paints made from special pigments sourced from all over the world. Atop this radiant, multi-colored surface, Barceló applied a directional spray of blue-gray paint, which causes the ceiling’s appearance to shift depending on the viewer’s perspective in the room. From some angles, the blue-gray hue predominates, and then from others, the installation radiates with vivid rainbow hues; this emphasis on perspective speaks to the importance of looking at the work from different viewpoints, just as issues discussed in the United Nations need to be examined from multiple angles. Barceló has exhibited his work widely in group and solo exhibitions; important retrospectives have been shown at the CAPC, Bordeaux, Palacio de Velazquez in Madrid and Institute of Contemporary Art in Boston (1986); Musée d’Art Contemporain de Montreal in Montreal (1988); Musée d’Art Contemporain de Nimes (1991); Galerie du National du Jeu de Paume (1996); Centre Pompidou (1996); Whitechapel in London (1994); Museo Reina Sofia (1999), Musée des arts décoratifs, Paris (2000); Fondation Maeght in Saint-Paul de Vence (2002); Galleria Nazionale d’Arte Moderna (Rome) (2002-2003); Musée du Louvre in Paris (2004); the Irish Museum of Modern Art in Dublin (2008); and joint exhibitions at the Musée Picasso and the Bibliothèque Nationale de France (2016). When Barceló's watercolors illustrating Dante's Divine Comedy were shown at the Louvre Museum in Paris in 2004, he became the youngest artist ever shown in this museum. Miquel Barceló "Sol y Sombra"